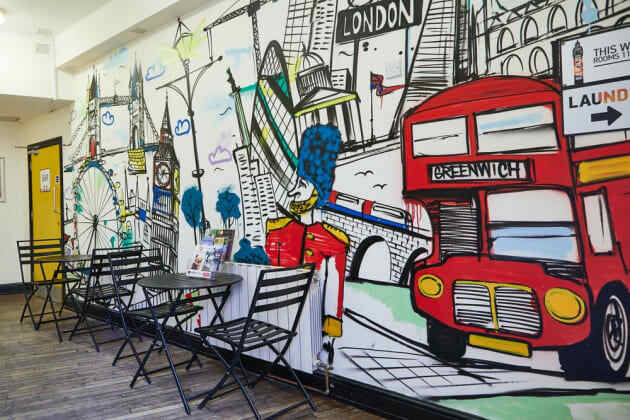 Enjoy a satisfying meal at Belushi's serving guests of St Christopher's Inn, Greenwich - Hostel. Quench your thirst with your favorite drink at the bar/lounge. Buffet breakfasts are available daily from 7:00 AM to 9:30 AM for a fee. 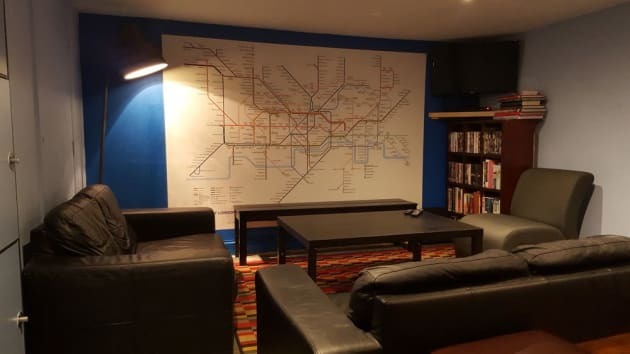 Surrounded by water and located in the East End of London, The Great Eastern at the Isle of Dogs offers you a different hostel experience. If you're traveling for work or need to be located near Canary Wharf or Greenwich, The Great Eastern is the place to be. Travel via the LDR and see the new streets of London. A quiet pub with water views, offering you a games room with a pool table, dartboard, and foosball table! We also have everyday happy hour between 4:30 and 6:30pm, and free pizza on the bar from 7pm, so what else do you need!? We're not just your normal pub, we pride ourselves on working closely with our awesome suppliers to serve up the very best in beer and gin, with a focus on London products. And as PubLover's ourselves, we pride ourselves on pub culture and want to make your experience a memorable one. Make yourself at home in one of the 131 guestrooms. Complimentary wireless Internet access is available to keep you connected. Bathrooms with showers are provided. Make yourself at home in one of the 19 guestrooms. Prepare your meals in the shared/communal kitchen. Complimentary wireless Internet access is available to keep you connected. Bathrooms with bathtubs or showers are provided. With a stay at The Antigallican Hotel in London (Greenwich), you'll be 9 minutes by car from O2 Arena. This hotel is 4.6 mi (7.5 km) from Excel Exhibition Centre and 5.1 mi (8.3 km) from London Stadium. 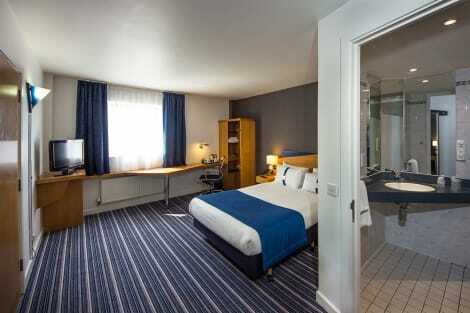 A smart, convenient London Docklands hotel with free Wi-Fi and included breakfast near The O2 arena and Canary Wharf In the heart of London's Docklands, Holiday Inn Express® London - Royal Docks, Docklands hotel is convenient for a business or leisure trip. You can walk to Canning Town Tube and DLR station in four minutes, and from there, there are fast connections to London City Airport and central London. The nearest bus stop is a two-minute walk away. The hotel is a 10-minute walk from the Emirates Air Line cable car. For a big concert or event, The O2 arena is one stop away by Tube. Westfield Stratford City shopping centre and Queen Elizabeth Olympic Park, with its Aquatics Centre and kids' playgrounds, are both three miles north of the hotel. Guests heading to an exhibition are a 10-minute walk from the Royal Victoria Dock, home to both The Crystal and ExCel London. Hosting a conference? You can invite 40 delegates to the largest of the hotel's three meeting rooms. If you're visiting a local business, the hotel is just two miles from Canary Wharf. Help yourself to scrambled eggs, baked beans and sausages each morning as part of the inclusive Express Start Breakfast, and check emails using the free Wi-Fi. At dinner time, you can find several restaurants in the area around the hotel. Or simply relax with a drink in the lobby bar.